Jet lag is awful no matter where you’re heading yet regular travellers will know that your body clock seems to take longer to recover when you’re flying east, rather than west. Physicists have finally been able to explain why this could be happening, using a mathematical model to show that our brain cells respond differently depending on which direction we’re travelling. 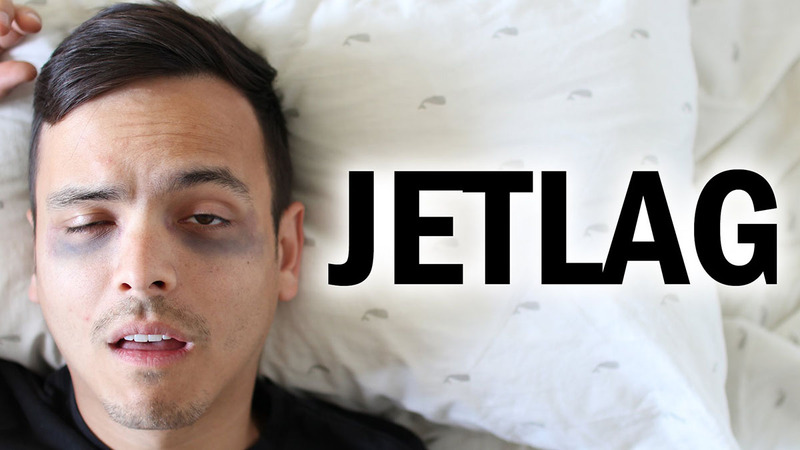 Jet lag occurs when the brain cells that regulate our circadian rhythm, called neuronal oscillator cells, can’t adjust to our new time zone fast enough, messing up our metabolism, sleep pattern, and pretty much everything else on the first few days of your Indonesian vacation. Up until now, the general advice has been to give yourself one day of recovery for every time zone crossed. But the new research, led by physicists from the University of Maryland, suggests that might not be enough if you’re flying east. That’s because our neuronal oscillator cells — the pacemakers for the rest of our brain — don’t follow a perfect 24-hour schedule. Studies have shown that without any external cues, their activity follows a slightly longer cycle — around 24.5 hours. And that means it’s easier for someone to extend the length of their day, for example, by flying westward across time zones than shorten their day by flying east. To figure this out, the physicists took this 24.5-hour rhythm and applied it to a mathematical model that calculates how long it takes someone to recover from jet lag and they showed that it’s not just the amount of time zones crossed that impacts recovery time, but also the direction someone’s travelling. Their model showed that someone who crosses three time zones heading westward can adjust fully in a little less than four days. And for six time zones, recovery takes around six days, as much as you’d expect based on the “one day per time zone crossed” principle. But when people are travelling east, the model predicts that it’ll take more than four days to recover from a flight that crosses three time zones, and a whopping eight days to recover from crossing six time zones (which is why it feels so hellish to fly from New York to Paris). The model also explains why some people can cope with jet lag so much better than others as they likely have slight variations in their natural brain cell cycle. The research has been published in the journal Chaos, but it’s important to note that none of this has been tested experimentally as yet; the researchers made their predictions by factoring in everything they know about how the human brain adjusts to new time zones, and let math do the rest.